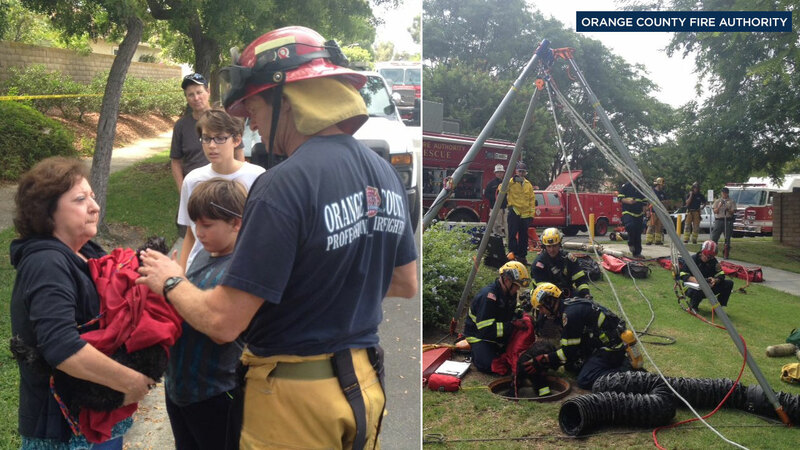 LAKE FOREST, CA -- Orange County Fire Authority firefighters rescued a dog from a storm drain after it was attacked by a coyote. Around 9:05am Saturday, firefighters responded to the 24000 block of Paseo Sombra to rescue the pup. A firefighter entered the storm drain and was able to grab the dog named Sparky, and lift him out. He was reunited with his owners. Sparky was in good condition, but taken to a vet for a full evaluation as a precaution.